If you have ever taken a trip out of Delhi looking for paranthas at the popular joints in Murthal, or if you have escaped to the hills, commuting via Chandigarh, then there's a decent chance that you have passed under Tripolia gates in North Delhi. These 16th century gates stand majestically on Grand Trunk Road— one of Asia’s longest roads, extending from Bangladesh to Pakistan. In its present state though, the road is more of a disjuncture pathway. If you are taking the bus from the Gur Mandi Bus stop area in North Delhi, you’ll invariably cruise past these flat-domed entryways. Extend your hands out the window of the bus just a bit, and you can touch these flat-domed gates and feel their texture, and for a fleeting moment, touch the age-old rocks that have been embedded into the structure. 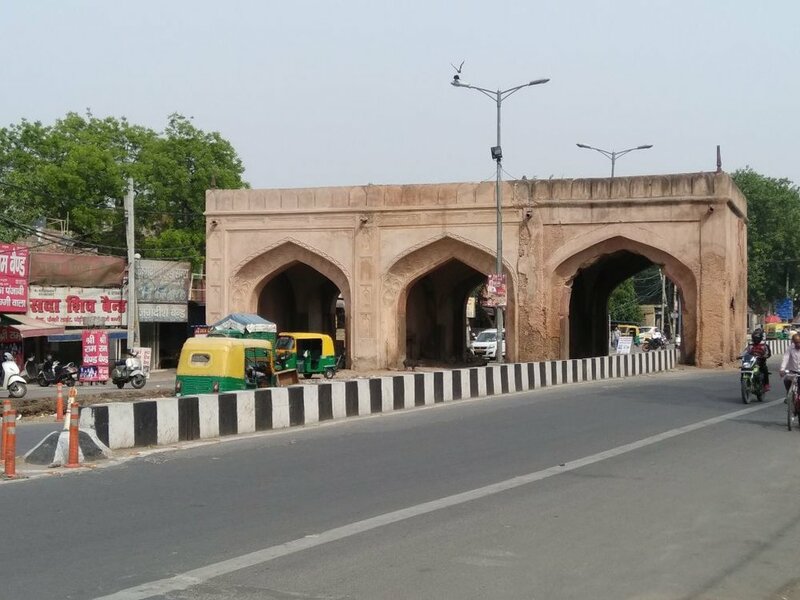 Unlike the other ancient gates that led to the city of Delhi, these are the only ones that are not railway underpasses. They are also unique in that they are the only gateways in Delhi with three passageways through them. 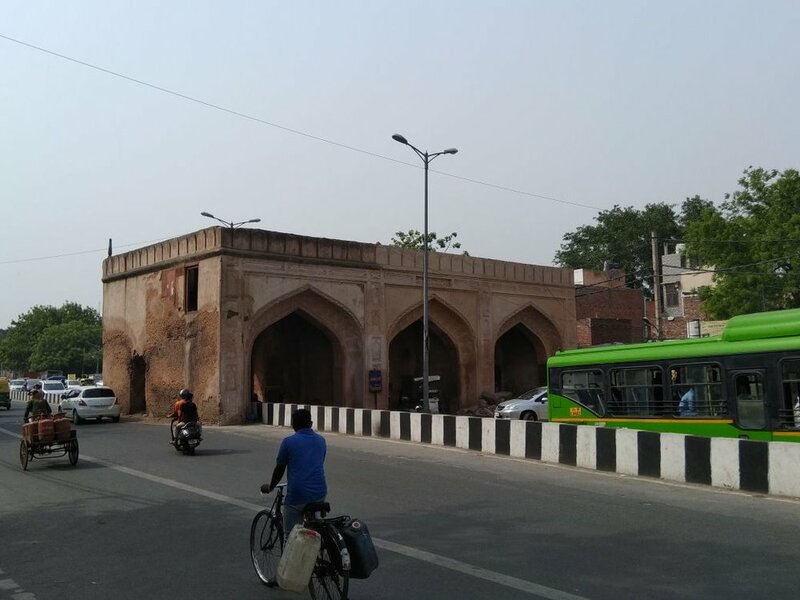 The only other gateway in the capital city, with more than one passageway through it is Kashmere gate, with two. Made of brick and sandstone layers, the two-faced gateway has three arched openings, flat domes and a lime plaster finish. These now-dilapidated structures stand like calm sentinels on a chaotic road, watching over the world passing underneath them. Having once served their purpose as beautifully carved entry- and exit-ways, the Tripolia are art that you stumble onto. Pass them by and you might miss their former grandeur. 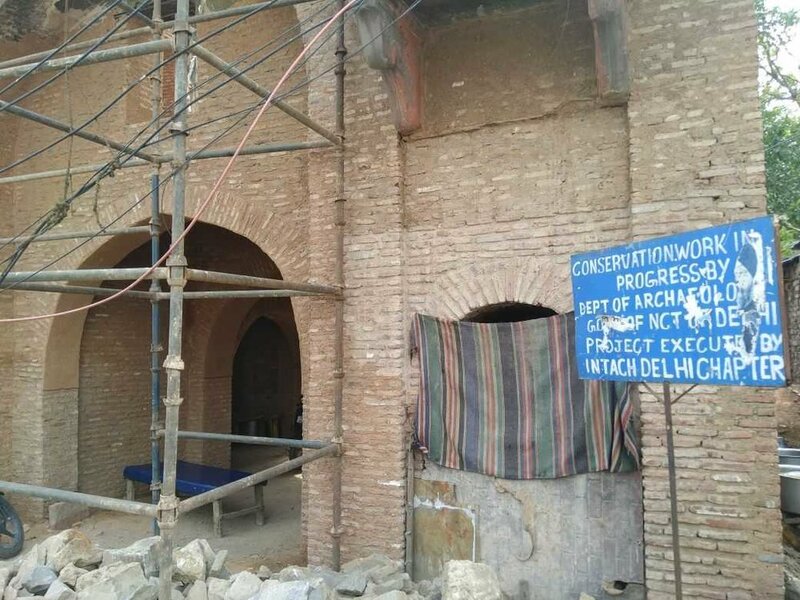 Linger on a little longer and little bits and pieces of Mughal architecture’s flourishes will start showing themselves through their current dust, crumble, and chaos. You will ditch your regular bus-route one free day. You will walk down beside these gates, to find an elaborate descent and ascent. You will learn that the roads were so altered circa (2008-12) in a bid to protect the roofs of the Tripolia gates, which at the time bore much truck traffic before the Outer Ring Road was constructed around 1984. Despite the rough-and-tumble of traffic and weather, these gates have been standing now for the past three centuries. Whether standing strong or not now, is a subject for much concern. Under constantly delayed renovation by the Archeological Survey of India, it's still a wonder that the gates have survived the pressures of the modern world, growing around them at unimaginable and unplanned pace— new unchecked construction, sewage lines, negligence, all of which stress the Tripolia gates. One ‘to be constructed’ line of the Delhi Metro passes right underneath the gates too. The site between the gates is also slated to be constructed as a metro station, with the Public Works Department planning to construct double decker flyovers here to decongest the area. “…during the late Mughal period. Now in a dilapidated state, this historical site serves as garbage disposal site as well as a public urinal. Not to mention rampant encroachment,” reads a 2005 article. Well, nothing has changed since then. These gates are majestic pieces of architecture which deserve better care from the government authorities. 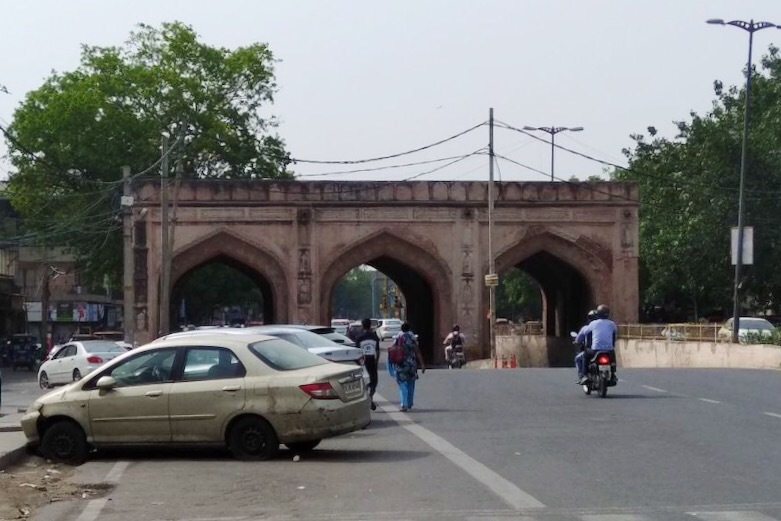 These gates have some wonderful jharokas and are living pieces of heritage which if not looked after will disappear the way, the baolis in our city have disappeared and when the last monument falls in the city, Delhi will not remain the same. Meanwhile, you learn that at the southern end of the gateway, stands the gateway to Nazir’s garden, which is currently under repair by the Indian National Trust for Art and Cultural Heritage. 2. Such a road, bazar (market) and tripoliya (triple gateways) that the event may be marked in the revolutions of the world. °Prof. Shama Mitra Chenoy in her book, ‘’Delhi in Transition, 1821 and Beyond: Mirza Sangin Beg’s Sair-ul Manazil"
Mridul Jain is in a love-hate relationship with his phone, while trying hard to complete his undergraduate degree. Find him on Twitter here.